Video consumers it appears, are far more choosy about their device than many people in the advertising community anticipated. Ever since digital video emerged as a new advertising channel is was assumed that viewers would watch video across multiple and different screens such as mobile, desktop, tablets and on OTT television. However New research casts doubt upon that belief. The data revealed that in the majority of cases consumers actually chose one specific device to watch video. The study reviewed over a million video impressions. It was conducted by Nielsen and Tremor Video in collaboration with four publishers ; Yahoo7, MCN, Network Ten and News Corporation. The researchers found that mobile and desktop video audiences are almost exclusively unique. 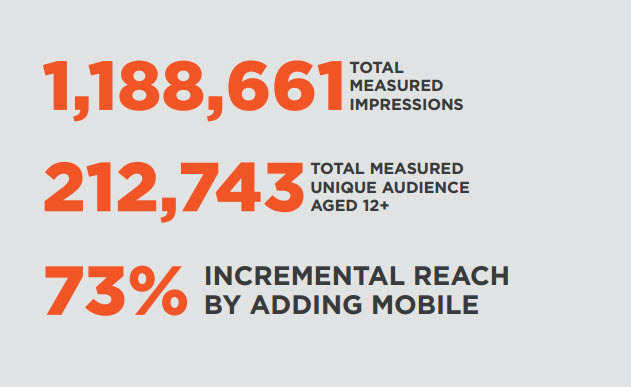 Furthermore those audiences were demographically discrete with mobile video skewing younger. Given these distinctions, and the fact that digital video is still an emerging channel for many advertising buyers, they need to consider carefully the way they approach their decisions. Mobile audiences are highly engaged with video content – they are having a personal, one on one interaction with the video, creating the optimum situation for an advertiser to communicate their message. In addition, many audiences who consume video on mobile devices only consume it here. Reaching audiences in this environment is essential for advertisers, and should not be ignored in favor of desktop only. Ensure that the creative agencies you work alongside are across the role of mobile, and are creating 15 as well as 30 second ads. Paid creative executions are not always able to run in mobile environments, so standard pre-roll formats (which are impactful, interesting and relevant) should also be supplied so that you can run a truly screen-agnostic campaign. Look at video holistically and with audience consumption in mind. By looking at mobile web video versus mobile in-app video versus desktop web versus OTT, you are potentially creating a fragmented approach, and missing the opportunity to reach valuable audiences in compelling environments. A multi-screen, audience-led approach will benefit your advertiser both in terms of engagement and reach. Longer term it is also worth exploring the likelihood that brands will need to develop different creative executions for different publishing environments – at least for the major global services like Google and Facebook. The way people watch video on Facebook for instance is different to how they watch on Youtube and creative will need to adjust for that. And of course both companies have their own rules and technical guidelines for the use of their players. You can see it starting to happen already as brands account for environments where the sound is likely to be switched off by default. This makes the visual impact of the advertisement and the use of captions more critical. In a recent Q&A session at an event we hosted for senior marketers the issue of building video creative for specific sites weighed heavily on the discussion. In an ideal world you would probably have a different type of content running on linear TV compared to mobile and this is an idea which is already well understood. Fifteen second ads are often considered important for shorter digital features, like those found on social media and news sites, however even this might get superseded. Social channels like Facebook and Snapchat for instance are pushing for sub 10 second creative options . Given that many sites often allow you to abandon the advertisement at five seconds, brands need to be increasingly clever about how they utilize the brief initial moments of engagement.